Keep your car safe in the warm weather. Depending on where you do the bulk of your driving, summer might be the harshest season of all for your car. An engine and transmission alone already produce an incredible amount of heat, so throwing in 95 degree days and stop and go traffic over searing asphalt is a recipe for disaster if you haven’t kept up with your routine maintenance. Fortunately, preparing your car for the hottest of the hot is cheap and easy. By far, our most important tip is to take the time to get your car’s coolant system checked. If any part of the system comes up with a shaky bill of health, swap the parts for new ones. 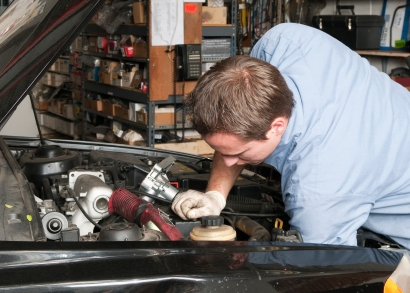 That means having your car’s radiator pressure tested and your hoses examined for cracks or bulges. Most shops can test radiators without the hassle of having to remove them from the vehicle. It’s a quick procedure and can save you from spending time on the side of the road. If you can’t remember the last time your water pump was replaced, or if your pump has more miles on it than what the manufacturer recommends, it’s time for a new one. While everything is apart, go for a new thermostat as well. Once you’ve gone over your vehicle’s coolant system, go ahead and check up on the rest of the routine maintenance you may have let slide through cooler weather. That means changing your car’s oil and transmission fluid, and examining and replacing your car’s brakes as necessary. You may also want to make sure your brake fluid is still clear without any sort of debris or discoloration and have it changed if necessary. 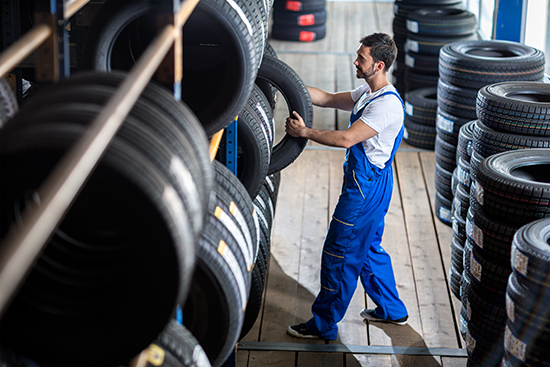 Of course, there’s more to keep in mind than just your vehicle’s mechanicals when it comes to summer. 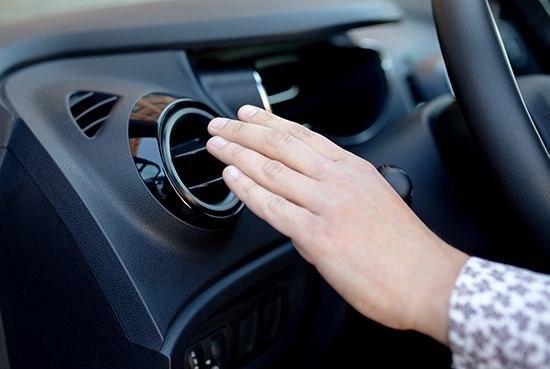 Your air conditioning system will be working overtime during those long, hot commutes, so taking the time to make sure everything is in great shape will keep you cool. Your car’s A/C is comprised of a series of components, each of which is as crucial to the system’s function as the next. Unfortunately, since the vehicle’s refrigerant is under high pressure and harmful to the atmosphere, it’s best to leave any sort of check or maintenance to a qualified professional. 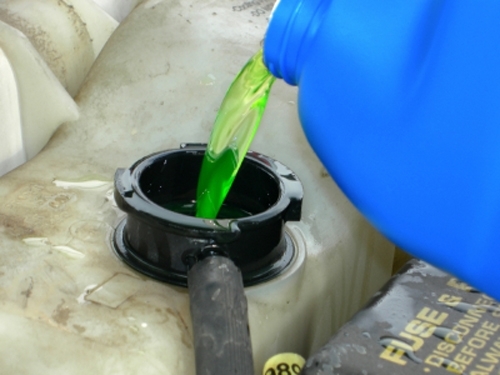 Mechanics can easily trap and recycle used refrigerant with the proper tools. Have your mechanic look over your compressor, evaporator and thermostat (different from the one in your vehicle’s coolant system) to make sure you’re getting the right level of frostiness from your car’s system. If anything’s awry, go ahead and replace it now before things get toasty. 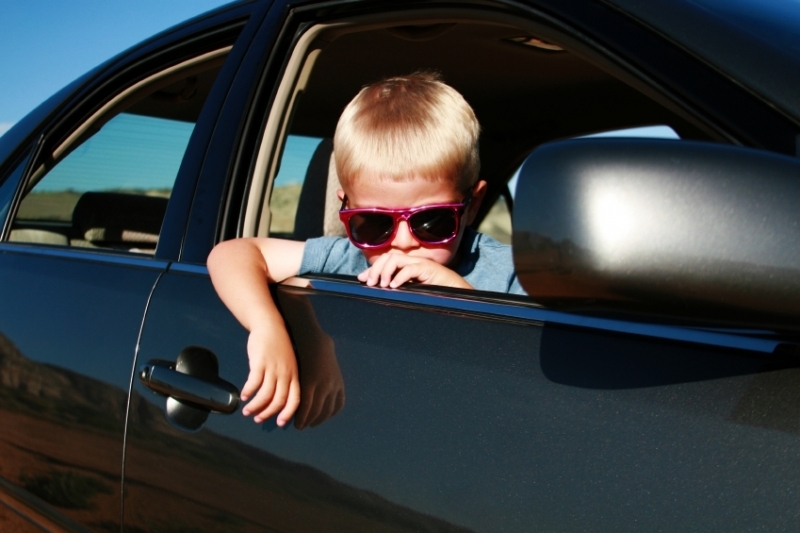 Finally, take the time to protect your car’s interior from the sun and heat. If your vehicle has leather seats, get a good leather conditioner and go over every last inch to prevent cracks and dry spots. Vinyl dashes are particularly susceptible to variations in temperature. Keeping handy protectant wipes in your glove box and using them regularly will help keep everything bright and crack-free. If you have to park your car in the direct sun at work or home, investing in an inexpensive sun shield can also go a long way toward keeping your interior as sharp as the day you brought your car home. Summer’s vicious heat can do a number on your car’s components, but keeping up with regular maintenance and taking simple steps toward protecting your interior will ensure your car keeps going for years to come. Remember, you’re safeguarding against more than just breakdowns. You’re also protecting against accelerated depreciation brought on by cracked, worn or faded interior components.